Former undisputed cruiserweight champion Oleksandr Usyk 16-0 (12) is expected to be installed as the mandatory challenger for the WBO heavyweight title currently in possession of Anthony Joshua 22-0 (21). Alex Krassyuk of K2 Promotions has made it clear that Usyk will be targeting the unified heavyweight champion providing he gets through his heavyweight debut against Carlos Takam on May 25 unscathed. “The fact that Usyk will become a mandatory challenger is not PR. These are the WBO rules, which were confirmed by the organisation’s president Francisco Valcarcel; four days ago I spoke with him,” Krassyuk explained to Video Boxing. 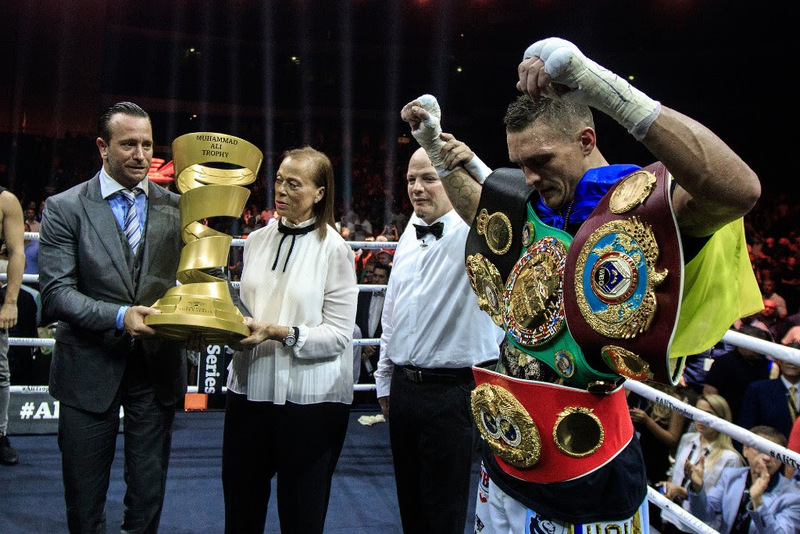 The 32-year-old Ukrainian southpaw was the breakout star of the inaugural Wold Boxing Super Series tournament, entering as the WBO champion and adding the WBC, WBA and IBF belts to his collection by the end of the competition. This achievement earnt him the distinction of being designated the WBO ‘super champion’ at 200-pounds and the attendant rights that come with it. One of those privileges is that the WBO will install a ‘super champion’ as the mandatory contender is they decide to change weight classes. “From the moment when Usyk becomes the official challenger, the fight with Joshua is irreversible, inevitable,” continued Krassyuk.